Combinations of these areas (semantic search, semantic dashboards, semantic wiki, semantic knowlege management, semantic social / collaboration, WCM for semantic web sites, portals/portlets, mashups/composites, BPM, semantic information integration, EII). Alfresco ECM FlexSpaces provides integration with Alfresco ECM: enterprise content management, document management, collaboration, records management, knowledge management, web content management, imaging, and DAM. FlexibleShare provides FlexSpaces functionality in a dashboard style UI along with added Flex UI for Alfresco Share backend: collaboration sites, document libraries, calendars, blogs, wikis, discussions. 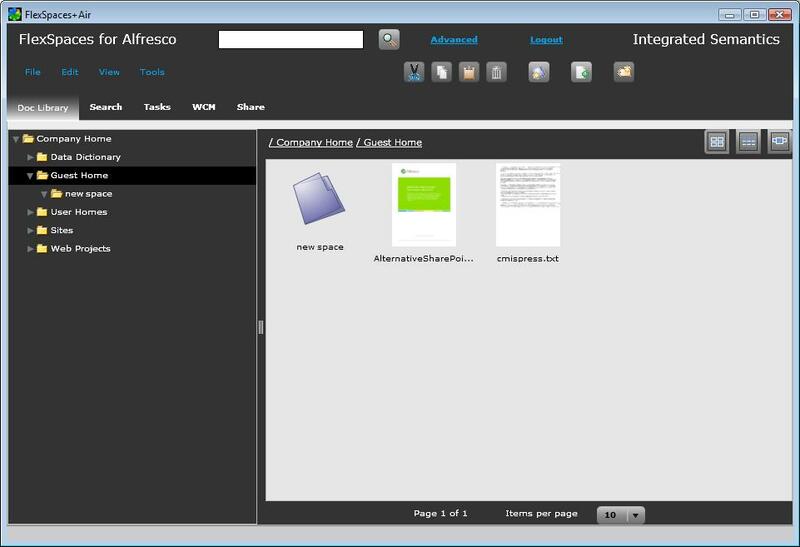 FlexSpaces did integrate with Alfresco based Adobe LiveCycle Content Services ES2. 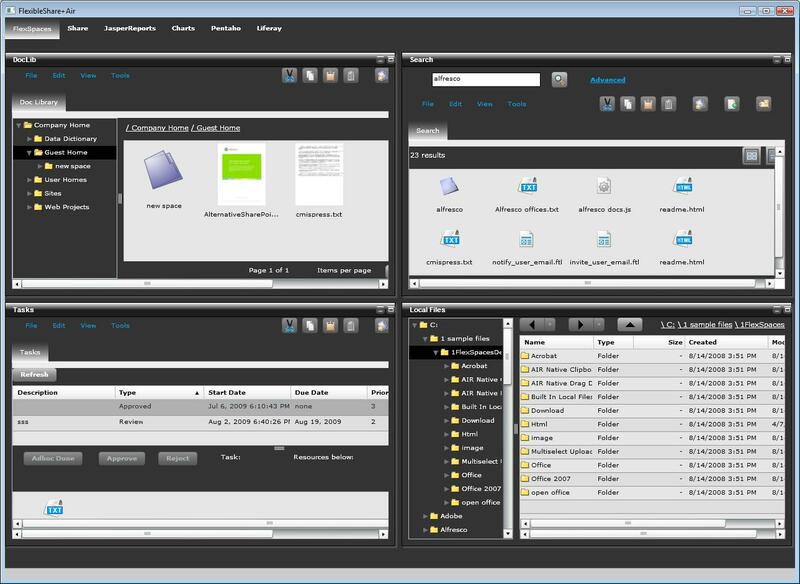 CMIS Spaces does support Adobe CRX in Adobe LiveCycle ES3 via its CMIS APIs. 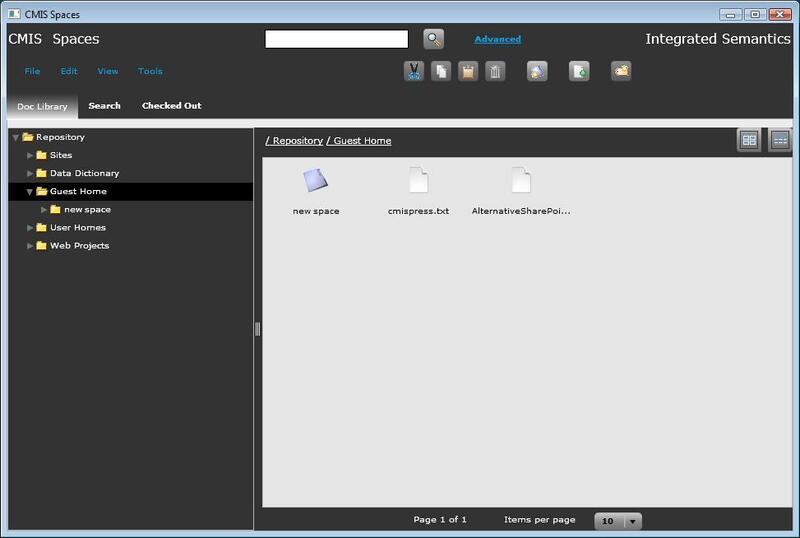 FlexSpaces application components / APIs can be used for customization and development of custom apps. Alfresco Share UI Extensions: OpenCalais Share UI semantic auto-tagging, semantic tag clouds, and semantic geo-tagged Google map is available. 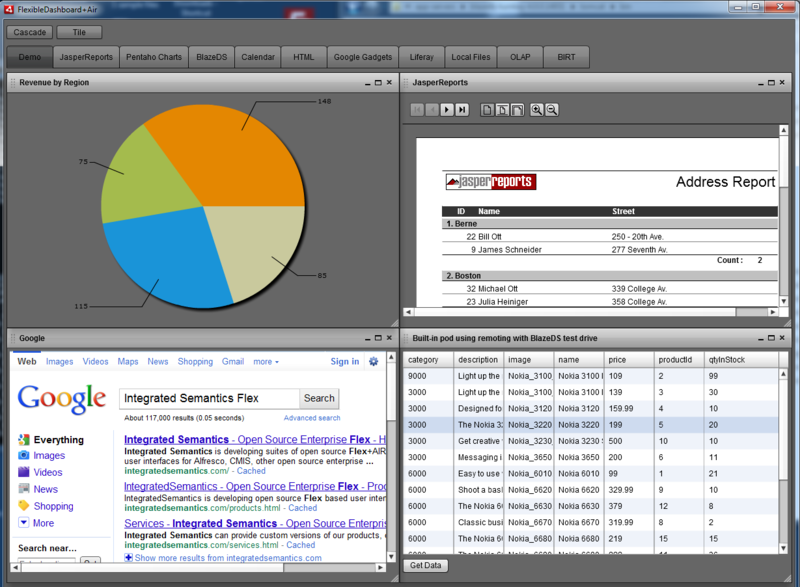 Additional Share UI extensions for IKS / Apache Stanbol in the works. HTML5 port of FlexibleShare is planned. CMIS Servers: Alfesco, EMC Documentum, IBM FileNet, IBM Content Manager, Microsoft SharePoint, OpenText, Nuxeo, Adobe (Day Software) CRX, etc. 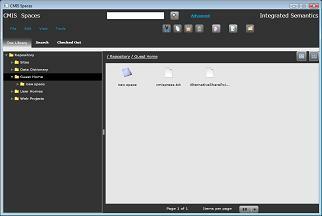 CMIS Spaces portlet for Liferay is available in Liferay catalog. IKS / Apache Stanbol tagging in CMIS Spaces applications planned. JCR content servers / WCM servers Support for Adobe (Day Software) CRX, Adobe CQ5, and other JCR based content servers / WCM servers is planned. 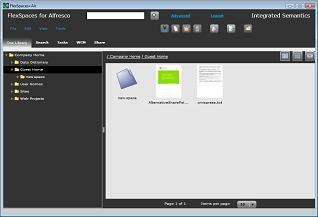 Adobe LiveCycle ES3 FlexSpaces did support LiveCycle Content Services ES2 (Alfresco based). 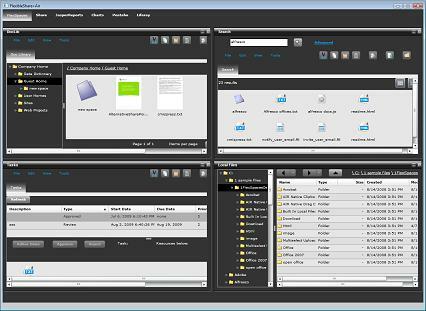 CMIS Spaces does support Adobe CRX in Adobe LiveCycle ES3 via its CMIS APIs. Additional support for JCR / Sling APIs is planned. FlexibleShare also supports FlexSpaces semantic features, planned Mobile version will too. Additional Semantic features that go beyond FlexSpaces will be added to FlexibleShare as additional pods and to Alfresco Share as dashlets. 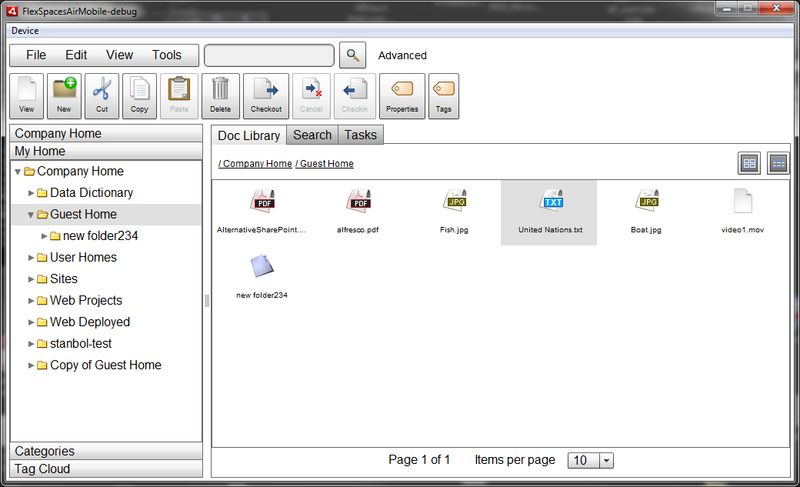 Planned HTML5 ports of FlexSpaces and FlexibleShare will also support the semantic features. 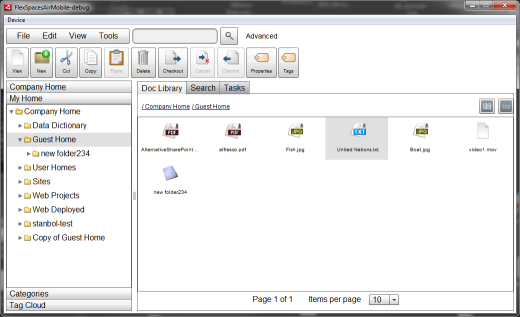 Alfresco Share Collaboration: semantic tagging support within Share blogs, wikis, etc planned. RDF Stores / Triple Stores: Various triple stores will be supported: Jena TDB, Jena SDB on top of relational databases, OpenLink Virtuoso, Sesame, AllegroGraph, Oracle, etc. Plan to support custom app server side Java for non interactive business logic and data source handling. Groovy with and without Grails optionally could be used..
Java Application Servers (Tomcat, JBoss, WebLogic, WebSphere, etc. ): The clientside HTML5/JS/CSS and/or clientside compiled Flex/Flash SWFs/SWCs are deployed in the app server (for in browser clients, not for AIR). Ideally for AIR, would want to support runtime plug-able modules coming from the app server so that AIR clients don't have to be updated on desktops. Java jars and/or Groovy files for any custom data sources / business logic along with BlazeDS/AMF runtime jars would need to be deployed in the app server. If Grails optional support is used, it would need to be deployed in the app server. OSGi may be required for certain things (Apache Stanbol). Cloud: The applications can be deployed in clouds supporting Java application servers.